Monday, the 15th of October, was reminiscent of the volatility the crypto markets experienced back in February and March when the countries of South Korea and China, expressed their intentions to ban cryptocurrency trading. News that were circulating in the crypto-verse today through social media, indicated that the popular exchange of Binance, was about to delist Tether (USDT) from its platform. No official announcement from the team at the exchange had been made, but the damage had been done in the crypto-markets. Due to USDT wallet system maintenance, we have decided to temporarily close deposits and withdrawals for USDT. We apologize for any inconvenience caused during the upgrade. When everything has been resolved we will re-open deposits and withdrawals for USDT, please wait for our further updates. 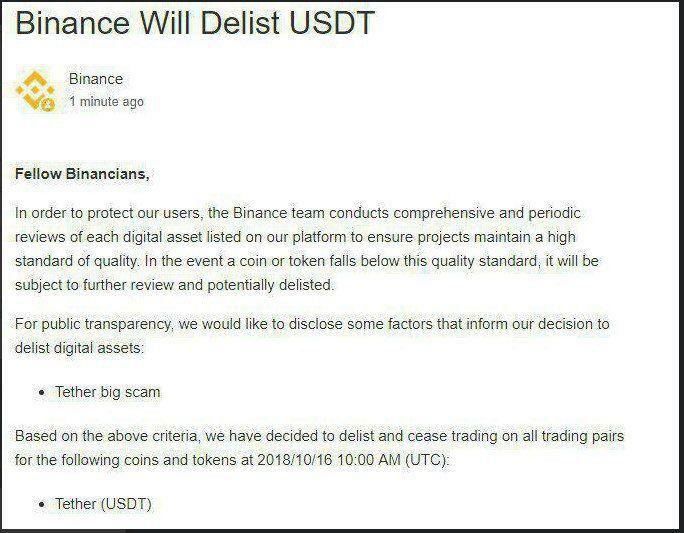 Right after the KuCoin announcement, word spread that Binance was also about to delist Tether (USDT) for there was evidence that USDT was a scam. Many crypto traders on all social media and messaging paltforms, got the following screenshot claiming to be an official announcement from Binance. The full tweet retweeted by Changpeng Zhao, can be found below. 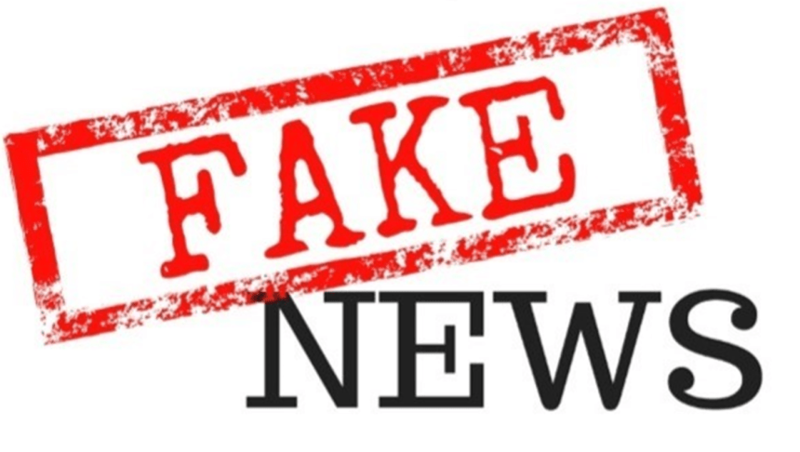 One possible indirect effect is that the fake news might have triggered the highly anticipated bull run and alt-coin season everyone was waiting for. Time will tell if the excitement in the markets will be permanent. What are your thoughts on the Tether (USDT) cryptocurrency? Do you believe it is a legitimate coin backed by actual USD? Do you welcome the new interest in Bitcoin that had it gain all the way to $7,500? Please let us know in the comment section below.